There are some important things to consider when creating your Google Adwords campaign. How much you’re willing to spend, what your ad will say, where your ad will be placed, and which keywords you’ll use, are all things you’ll need to determine when putting together your Google Adwords campaign. While the process is fairly simple, it’s essential that these subjects are carefully considered if you want your online marketing campaign with Adwords to be a success. Be prepared to have all of this information available and complete when beginning your campaign. The first step in any learning process is mastering the language. Google Adwords is fraught with industry-specific language. In order to master Google Adwords, understanding the language is important. Here’s a list of the most important terms to learn, if you’re planning on incorporating Google Adwords into your marketing campaign. SEO (Search Engine Optimization): The act of optimizing a website so it come up high in a search engine result list. Google Adwords is designed to do just that for Google searches. PPC (pay per click): Online advertising method that charges clients only when their ad is clicked on by an internet user. Keywords and Search Terms: Keywords and search terms, are the words and/or phrases an internet user types into a search engine. Selecting the right keywords, is a fundamental step in a successful Google Adwords campaign. Ad Position: Where an ad pops up on the list of results from a Google search. The closer to the top for any given search, the better. Impression: An advertisement placed on a web page. The ad that comes up beside your search results, for instance. CTR (click-through rate): The click-through rate is determined by dividing the number of “impressions” or, advertisements placed, by the number of clicks on an ad. A high CTR is seen as a successful Google Adwords campaign in the eyes of Google. Landing Page: The page of a web-site where an internet user “lands” after clicking on an ad. This page should provide more in-depth information than what was provided in the ad, catered to the ads direction. Conversion: Conversion, is when one of the web-site visitors, do something conducive to purchasing. This could include subscribing to an RSS feed, ordering an item, or contacting the business further. These terms are by no means the only unknown phrases you will come across when learning about Google Adwords, but they are the most important ones. Most of these phrases are good to know in general if you’re trying to beef up on your general digital marketing knowledge. Once you have a basic understanding of these terms, you’ll have a much easier time absorbing the processes Google Adwords uses to make your campaign a successful one. The wonderful thing about Google Adwords, is it can cater to nearly any budget. Businesses big and small flock to Adwords in order to craft customized online campaigns that will fit their unique needs. The best way to determine your budget, is to find out how much you’d be willing to pay for clicks per day. You can make a bid based on either the standard cost-per-click (CPC) model, or the less used, but sometimes effective, cost-per-impression (CPM) model. Once you’ve identified your budget, you can figure out how to get the most for your money. Google Adword ads consist of a short, keyword rich headline, and a brief description of your business.Let’s say you have a dental business in Seattle, Washington, Your headline could be: Seattle Dentist. Your description should be brief and informative. For the aforementioned example, a good description would be: Teeth-cleaning, orthodontics, and oral surgery. Discount for first-time patients. List your most popular services and/or products, and any specials you may offer, and do so in as few characters as possible. You can get as specific, or general, as you want when it comes to location for Google Adwords. Many opt to just choose the general settings, but it’s best to use the location features to your advantage. The service or product your business offers vary as much a the locations in which you want to market them. So be sure to identify the most profitable, reasonable locations you want to market to for your businesses. Choosing the best keywords for your given campaign is the most difficult, and the most important part of creating your Google Adwords campaign. While choosing a more broad search term as your keyword may result in more clicks, it will likely cost you a lot more, and result in little conversion. For instance, using the above example, instead of using Seattle Dentists, as your keywords, which would have a high price, and lots of competition, narrow it down a bit. 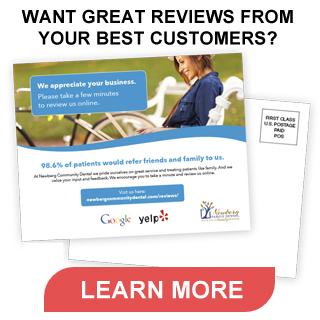 Let’s say your business, a Seattle dental office, is in South Lake Union. Try South Lake Union Dentist, or even South Lake Union Orthodontist. This can help keep costs low, and target very specific searchers who will be more likely to click, and eventually become customers. Once you’ve selected your keywords, the magic of Google Adwords begins. Your ad will then appear on the side of the search bar, whenever anyone types in the keywords are chosen. While appearing in the search results may be the best way to reach customers, Google generated ads, that cater to a very specific potential customer, can be very successful when done right. The world of Google Adwords is a complex one. Many companies choose to hire a digital marketing agency to help navigate, and make the best use of, Google Adwords, and Google’s other advertising services. Whether you choose to hire a third party, or take a crack at it yourself, there’s some basic information you should be familiar with. The more effort and money you put into your Google Adwords campaign, the more successful it will be. If a professional digital marketing agency is within you budget, it’s definitely something to consider.